Music Battle is a unique Joomla Extension that allows you to create a music competition site with just a few clicks. 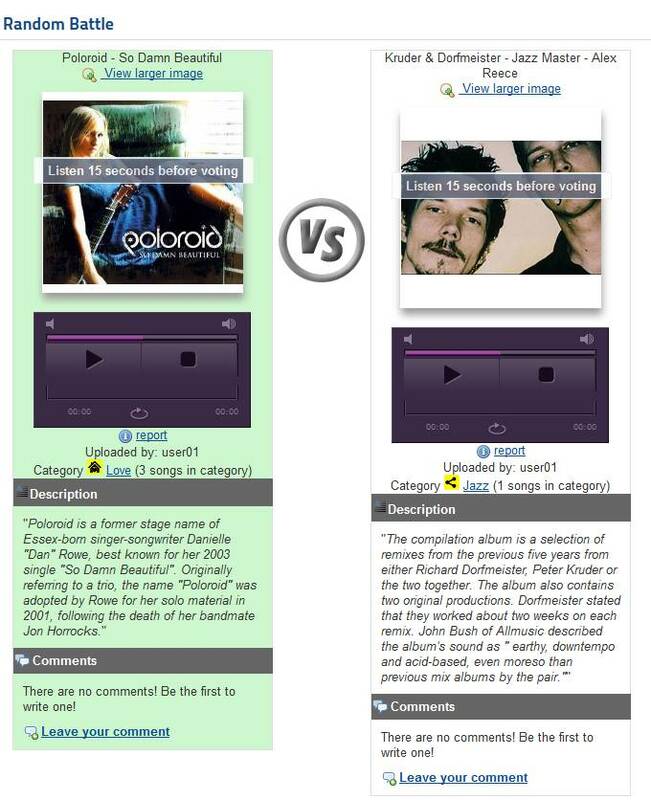 Users can upload media and let it compete against other music on the website. 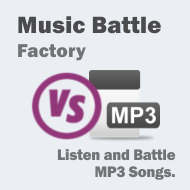 Your visitors can vote between two song in the so called "Battles". You can test Music Battle Factory by clicking the menu on the left, and check out the administrative backend by clicking on the menu on top. 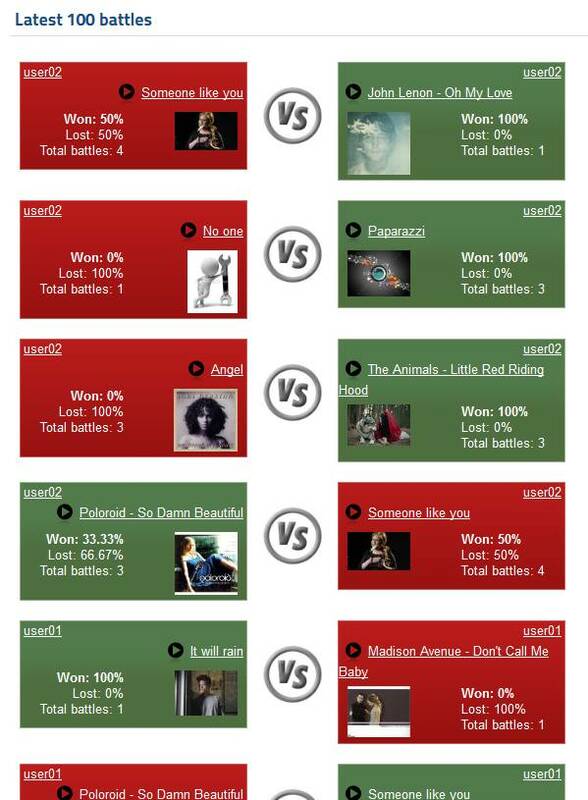 Music Battle is a fun way to have music competitions on your website. Users upload content and let others be the judge and vote for or against your tune. The rating system is not based on star ratings but rather on one-on-one battles with other tunes. 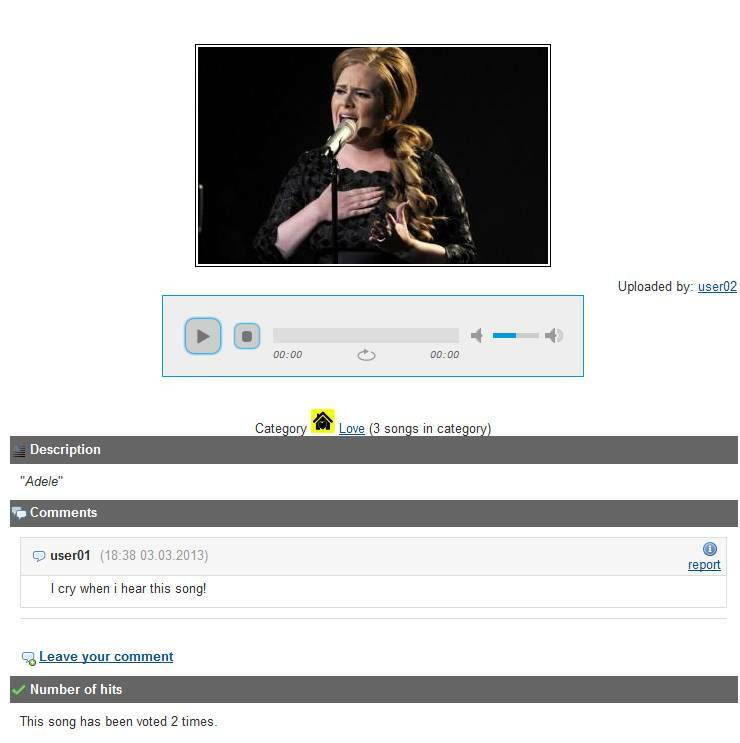 Users can leave comments and can listen to any song on the website, and then go to battle !